We learn by our misstakes. 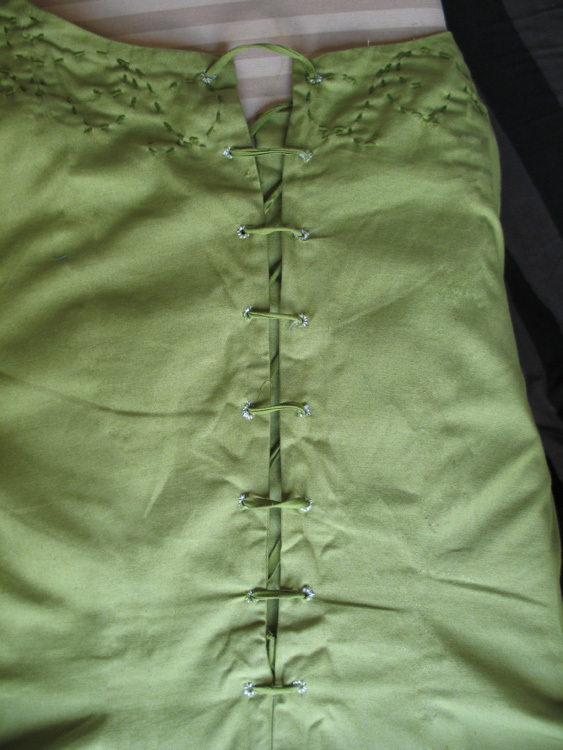 Do not lace like this! Don´t be sparce with the holes for the lacing. The dress will open when you move. It won´t be supportive and beautiful either. There is nothing wrong with ambitions. -But! 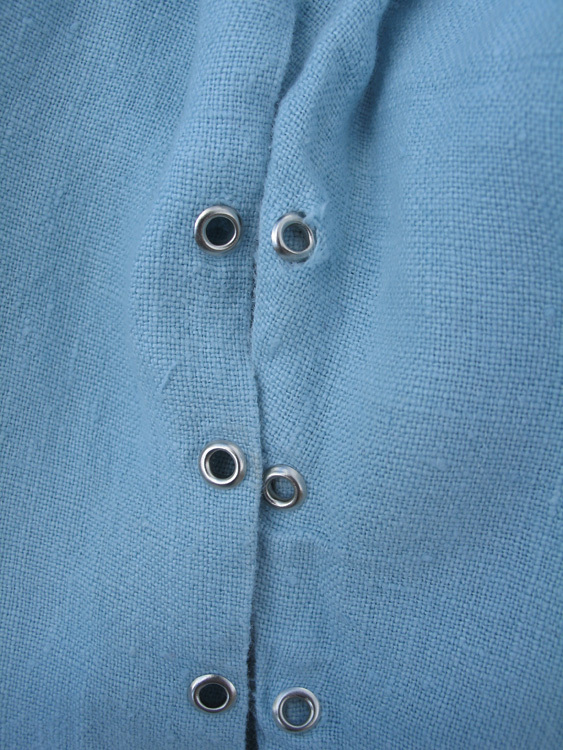 When I finished this hole Maria Magdalena ensemle, i wanted the sleeves too. I am still looking for similar cloth today. I was looking for the cloth a long time without any luck, untill i got the great idea to make the pattern with goldbrocade and red velvet glued on it. First i made a test and it looked allright. Then I made the pattern on a papersleeve infront of the mirror. Scanned it and processed it in Illustrator and Photoshop. It was a huge work. 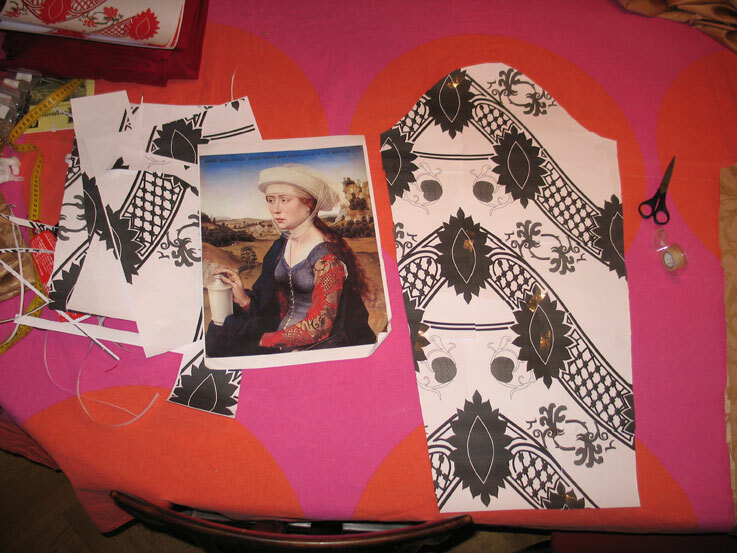 But the most effort where when I cut the fine smal patternpieces out first in paper and afterwards in velvet. I tryed it out and the sleeve got wery stiff only with one pattern glued on and the edges got torn, so i was disappointed and throw it al away. 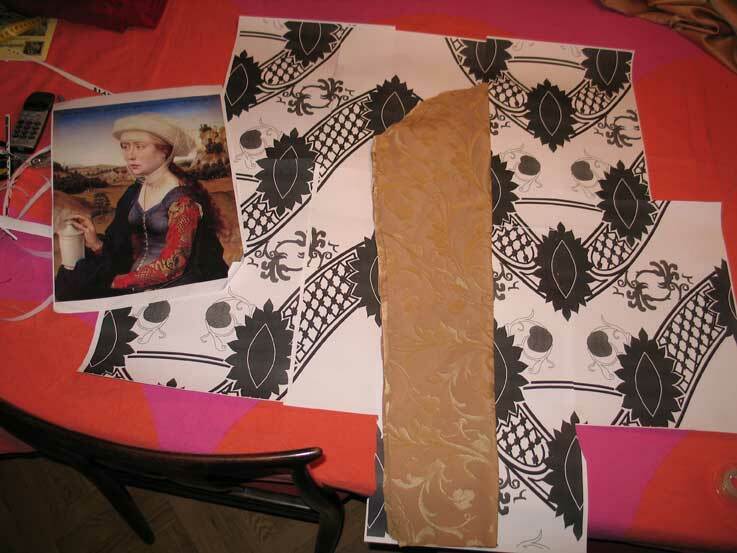 Above:Here you see another sleeve I had as a modell,the datapattern and the picture of Maria Magdalena. Below: shows the finished paperpattern, and the large amount of red velvet i was about to destroy.